Review written by Rachel Geiger. A cult classic that is still quoted on a daily basis, The Princess Bride is a film that’s already been passed down to many generations of viewers. No matter how old you are, this is a film that people of all ages can enjoy. I felt like throwing it back and looking at some of the reasons why I love it so much. 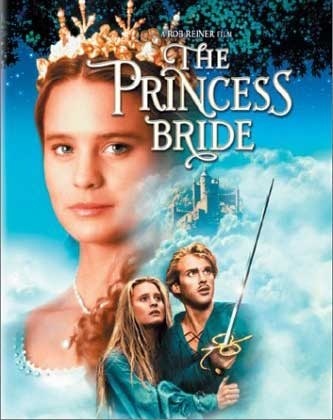 The Princess Bride begins with a grandpa reading his sick grandson a story called “The Princess Bride.” The story follows Princess Buttercup (Robin Wright) who falls in love with her poor farm boy Westley. He ends up leaving her to seek out his fortune and his boat is attacked by Dead Pirate Roberts, who are known for killing everyone in sight. Buttercup is heartbroken when she gets news that Westley is dead but she agrees to marry Prince Humperdink. She is kidnapped by three men whom Humperdink himself hired: Vizzini, Fezzik, and Indigo. Westley is disguised as The Man In Black, who takes the men down to reach Buttercup. After a series of events, Westley finds himself teaming up with Indigo and Fezzik to stop Buttercup’s wedding. The story is one filled with a mix of different genres and themes. It’s a film that isn’t easily classified. However, the story itself is a hilarious one. Although it has many subplots, the clear focus is the story of Buttercup and Westley. I personally love the story about Indigo, the character who delivers the famous line, “Hello, my name is Indigo Montoya, you killed my father, prepare to die.” I think it’s simple yet creative how the whole film is narrated by a grandpa reading to his grandson. The various interruptions from the grandson throughout the story are also hilarious and realistic, it’s how any boy that age would react to some of the particular scenes that his grandpa reads to him. I wouldn’t call any of the acting performances worthy of an Oscar or anything like that, but they were funny and awesome. They also helped launch many careers such as Cary Elwes and Robin Wright. I think the best performance comes from Many Patinkin. He’s such a natural actor who really puts his whole heart into every performance he gives. This is the best performance because of his general delivery. You can’t help but feel sorry for his character, he’s waited his whole life to kill a man who took his father away from him when he was just a boy. The scene where he finally comes face to face with the six-fingered man is a memorable and emotional one. Rob Reiner is a terrific director. He really helped put many of these guys out there in Hollywood. He also took a huge risk by directing a film that was based on a fairly popular book. However, he definitely managed to pull it off and this is arguably one of his most popular films. I think the reason this is such a classic is because it blends together many different genres, has awesome characters, and quotable lines. It’s a great family movie and it is my personal favorite due to how funny and unique it is.